Fiber Flux: 25 Fun Uses For Your Swatches! 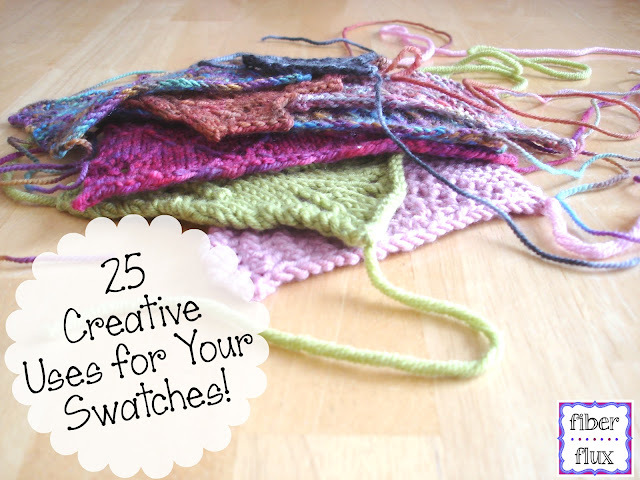 25 Fun Uses For Your Swatches! As yarn enthusiasts, we are often left with piles of swatches on hand from our projects. What do we do with them? Here is a fun list to perhaps give a fun new purpose for those pretty little stitchy pieces. Not only did I come up with a few, but I asked a couple of my bloggy friends for their ideas too...they had some super creative uses for them as well. Be sure to swing by each of their sites and say hello too! Sew a few together for an interesting throw pillow. Put them in a box or binder to create a handy stitch reference library. A "tester" piece for laundering, learn how the yarn behaves and washes before you commit to the entire project. Create a crochet/knitting journal...write about the project, what did you learn? what would you do differently next time? 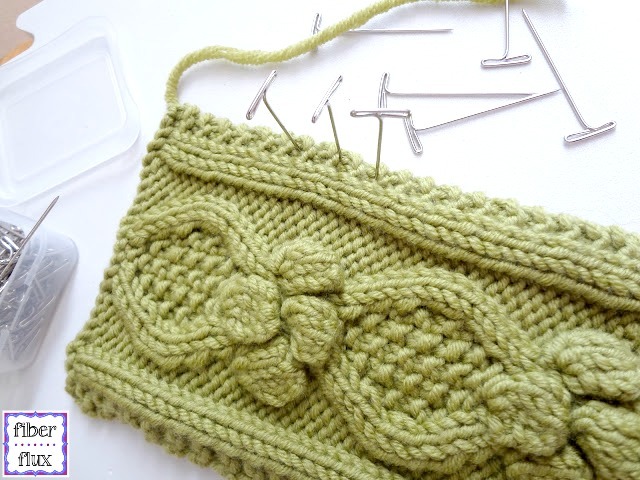 Unravel the swatch and re-use yarn. Sew two together to make a dolly/stuffed animal sleeping bag. Use a few to cushion something that is special and fragile. Cats love yarn, so if you have a swatch that is particularly "stringy" a kitty would love it! Do you have any other uses for your swatches? Comment below and I'll add it to the list! I saw a beautiful idea .. attach it to a piece of drift wood & hang, with tassels or shells or whatever. Also, sew two together for a little purse & attach a press stud.. decorate. Me either, I just wing it as I go and adjust stitches as needed if the size is too small/large. Piece swatches together to make a tote bag or purse.